← Restoration of Traditional Coquina Stucco or Plaster, St. Augustine. Showing original fireplace, replicated panelling. Sometimes the artisan is called upon to restore a much altered structure to its original format and finishes and so it was with Leigh Douglas Johnson and the Lt. Gov. Jonathan Hunt House in Vernon, Vermont. This is a task similar to restoring George Washington’s proverbial axe – – the original axe, except that it had had two new heads and three handles. Actually, Mr. Johnson had a bit more to work with, though much of the house had been stripped of original wall boards and interior partitions. 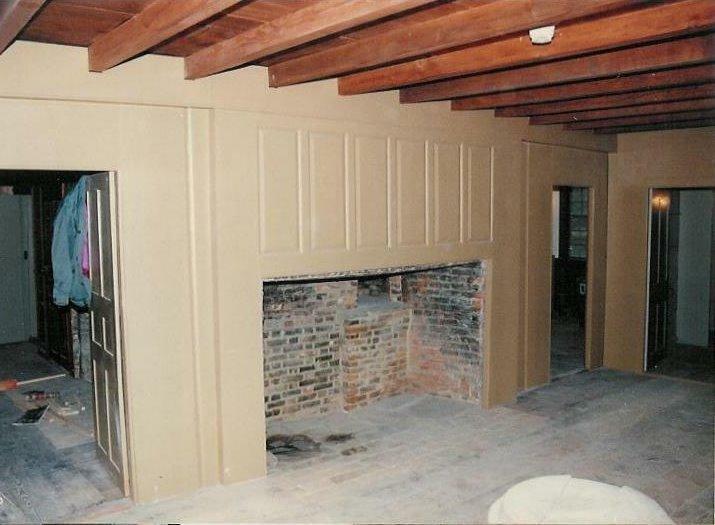 A rear stairway had gone missing and the three original fireplaces on the main floor had been much altered. Smaller fireboxes had been built within the originals. 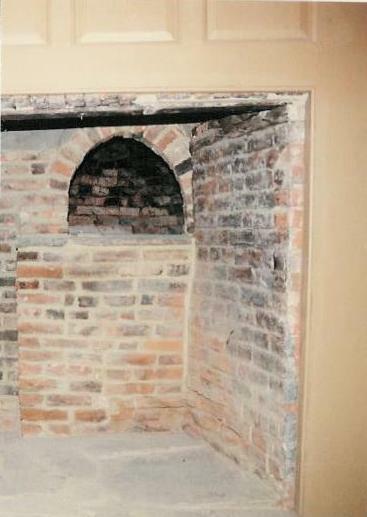 When the aftermarket brickwork was removed, rear wall beehive ovens were exposed. Sufficient evidence was discovered to establish the location of the missing original interior wall partitions & the original back stair. Finish cues were derived from intact treatments from throughout the building. This is reading the building as found in order to restore specific details and Mr. Johnson gets into the specific historic restoration forensics at the link. His company is Fine Home Design & 18th Century Design of Harvard, Massachusetts. Smaller firebox removed, original oven intact. This entry was posted in Architectural Conservation and tagged Fireplaces, Vermont. Bookmark the permalink.